Our hearts go out to all of those impacted by the flooding and are grateful to be a part of such a generous community of people helping one another. At this time, we are suspending fundraising efforts for this year’s Sail-a-thon so individuals associated with the Lakewood Yacht Club Harvest Moon Regatta can focus on hurricane recovery efforts and support for the Hurricane Harvey/HMR Port Aransas Recovery Fund. 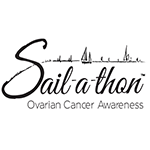 We appreciate all who already donated to this year’s Sail-a-thon fundraiser, which will support Judy’s Mission awareness and research programs.